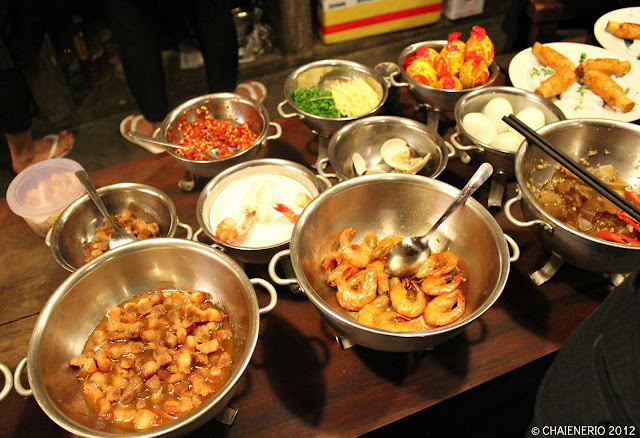 Our first official dinner was for some Vietnamese street food but the street food that we had was one of the best meals I had so far. 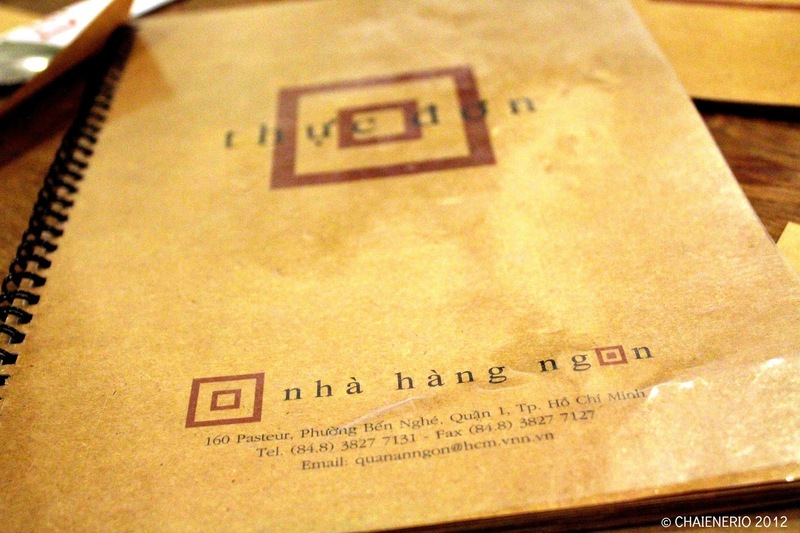 I and my friends had them at this restaurant called Nha Hang Ngon which was situated at 160 Pasteur St, Ho Chi Minh City, Vietnam. It was like an open restaurant setting in an old colonial-style yellow Vietnamese house and the food was sold at the sides with different hawkers replicating typical Vietnamese street food setting. It was great! It was full of green plants which made it a cozy garden experience. You might think that given the restaurant’s look that they were pricey but actually they were not and the food was really delish. 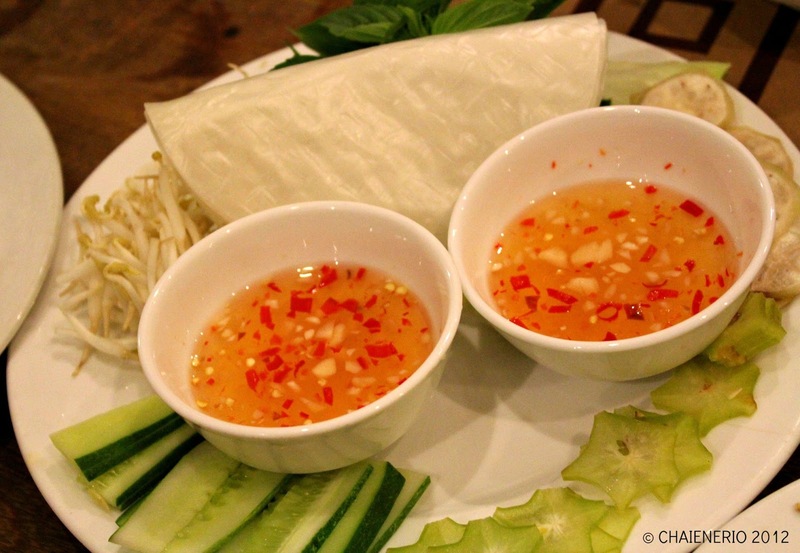 Vietnam was colonized by the French so their food exhibits that influence – Vietnamese with a smattering of French. It was a feast for the senses for me at least. Noisy relaxed surroundings with people clearly enjoying the food and company they were with for that night. We had a look around the different hawkers and then picking out the food we wanted to try out. 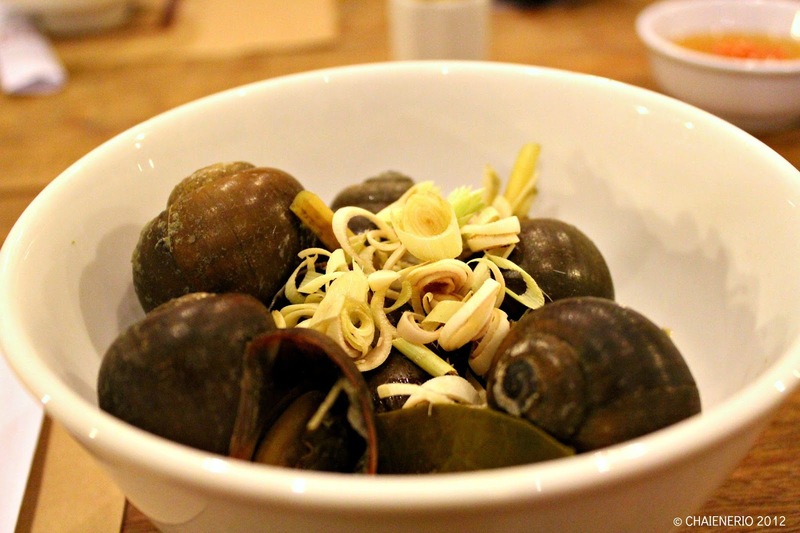 We were all tempted to try out the tasty little morsels of escargot cooked with ginger and stuffed with sautéed pork of some kind. 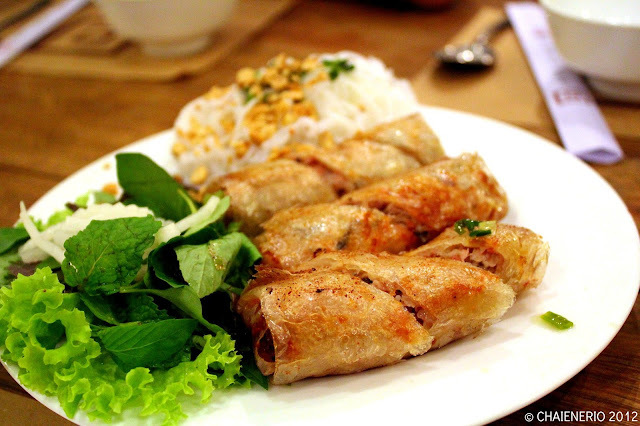 Of course I also ordered my favorite fresh spring rolls with juicy and plump shrimps – Goi Cuon. It was served together with some sweet-sour vinegar concoction which they call the nuoc nam sauce sprinkled with red chilies. Sadly I was not able to get any picture of my favorite as I started on them before I remembered I had to take pictures! We also ordered the fried spring rolls and they were the winner. 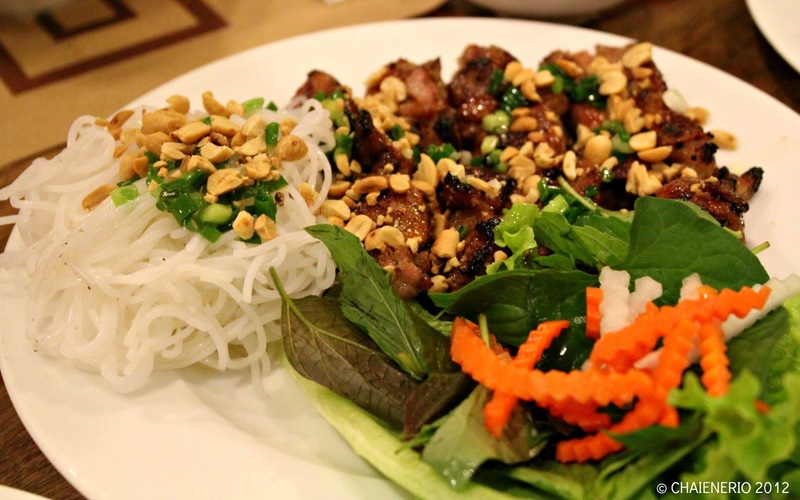 Dipped in some nuoc nam sauce and eaten wrapped in some crunchy lettuce leaves piled together with some Vietnamese vermicelli and fresh veggies – it was the winner hands down. We even ordered like 3 servings of it since we all could not get enough of it. That is not to say that the roast chicken we had was not great. It was amazing as well. Cooked with lemongrass and a few other spices, it was juicy and not at all dry and the flavor was great. We also ordered some grilled pork and these were again good wrapped in all that lettuce with the vermicelli and dipped in nuoc nam or the soy bean paste sauce they were also serving. Everything seems to be “wrapped” but I did not mind it as I see it as a healthy alternative to just eating it as is – Meat! We also had some sugarcane shrimps. Shrimp patties wrapped around in sugarcane and grilled. 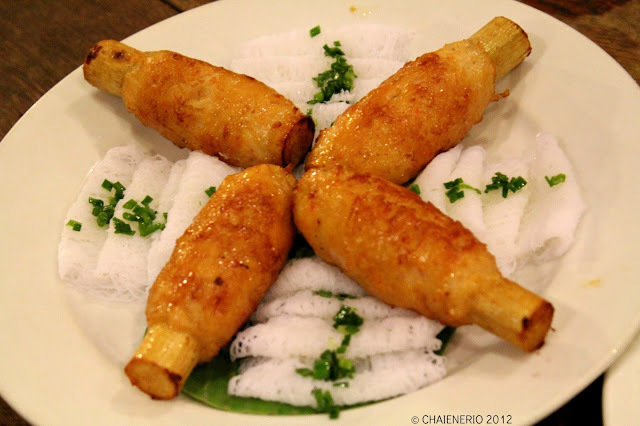 The grilling while wrapped in the sugarcane should contribute a smoky and caramelized flavor to the shrimp patty and it did just that. It was another delicious addition to our mouth-watering dinner. Our first dinner out was simply amazing and we knew then and there that we would be back for more. My words are not enough to describe all the flavors of Vietnam in that one sitting but hopefully the pictures can also tell. 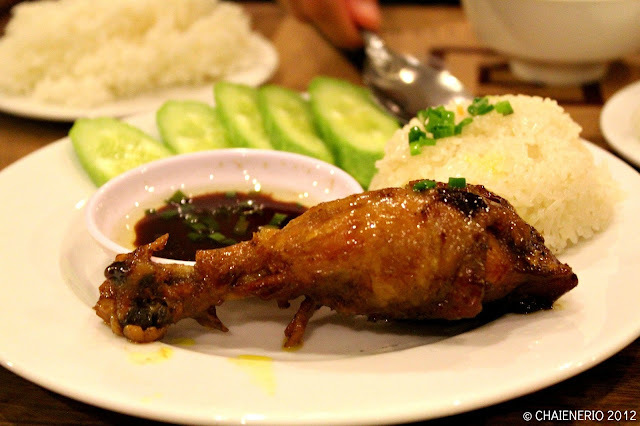 Nha Hang Ngon is definitely a must-eat-at place in Ho Chi Minh should you find yourself wandering in this part of the world. And the best part of it, it was really good value for money! P.S. There is still part 3. Heheheh!